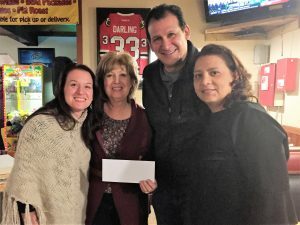 Whether you participated as a team member or just supported your favorite team, we want to take the time to thank you for participating in our First Trivia Night on January 24, 2019, at Hawthorne’s Backyard in West Chicago. It was a night full of thought-provoking fun and mind challenging trivia. Raffle tickets were also sold for a chance to win the Split-the-Pot Heads or Tails game. Your support will help TEACH purchase a set of Kindle Fires which will be used by our tutors and students. 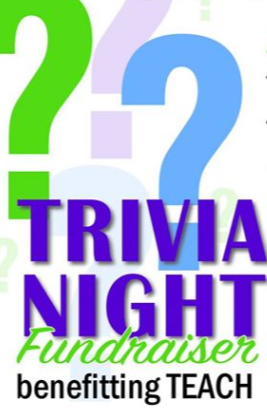 Our thanks also go out to Lou Kopinski, the owner of Hawthorne’s Backyard and to Go4It Entertainment Trivia company. We are pleased to announce the First and Second place teams of this event. Claiming first place are team members Jessica Krakowski, Linda Bitsas, Gustavo Aguilar and his wife, Susana. 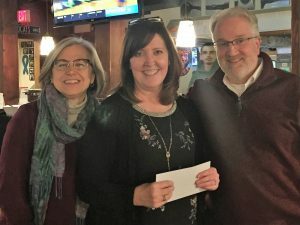 The Trivia competition was tough, but Melissa McGuire, Carol O’Rourke, and Melissa’s husband, Quentin, are happy to place second. 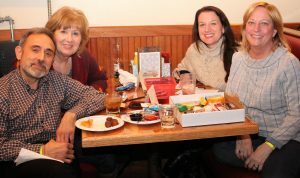 Relaxing after the Trivia competition, Executive Director Constantine Bitsas, his wife Linda, Jessica Krakowsky and Cathy McCabe enjoy Hawthorne’s Backyard fine food. 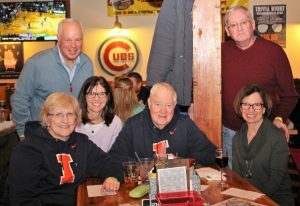 Enjoying the evening, Board members, Elaine Spear (left) and Anne Hillebrand (right) are joined by their husbands and friends. With their hands on their heads, participants of the Heads and Tails game are waiting anxiously to hear the result of the coin flip.